KMC has many process and packaging engineers on staff to oversee and manage a particular removal job. It is this expertise that allows KMRS to stand alone from other riggers and provide our clients with a peace of mind that their equipment is being handled carefully, safely, and most importantly, as if it was their own. We have highlighted a few of our Fortune 500 projects from 2008 to present day below. Of course, there are MANY, MANY more, but this brief summary should give you an idea of our capabilities and trusted clientele when it comes to rigging. 1. Watson Pharmaceuticals / Actavis / Allergan / Forest Labs (2010 – PRESENT DAY): KMRS is responsible for the transfer of idle equipment and equipment sold to other manufacturers being removed from any Actavis / Allergan facility worldwide. This has included many equipment site transfers and facility shutdowns, etc. Cincinnati, OH (2016): KMRS was responsible for the removal of over 100 assets from Cincinnati, OH and Groveport, OH. The move consisted of removing, skidding and loading of over 20 trucks to various customers worldwide. Corona, CA (2015): Handled the facility shutdown in Corona, CA (Building 1). KMRS was responsible for the removal of assets transferred to other Actavis sites prior to the building being sold. The job took place over the course of 4 months and included various building demolition to remove machinery; electrical disconnect and careful match marking of various equipment ; skidding and crating; loading and transportation of over 40 trucks / container to Actavis facilities worldwide. Corona, CA (2015): KMRS was responsible for the removal of over 300 assets from their R&D Pilot facility in Corona, CA. The move consisted of removing, skidding and loading of over 100 trucks to various customers worldwide. 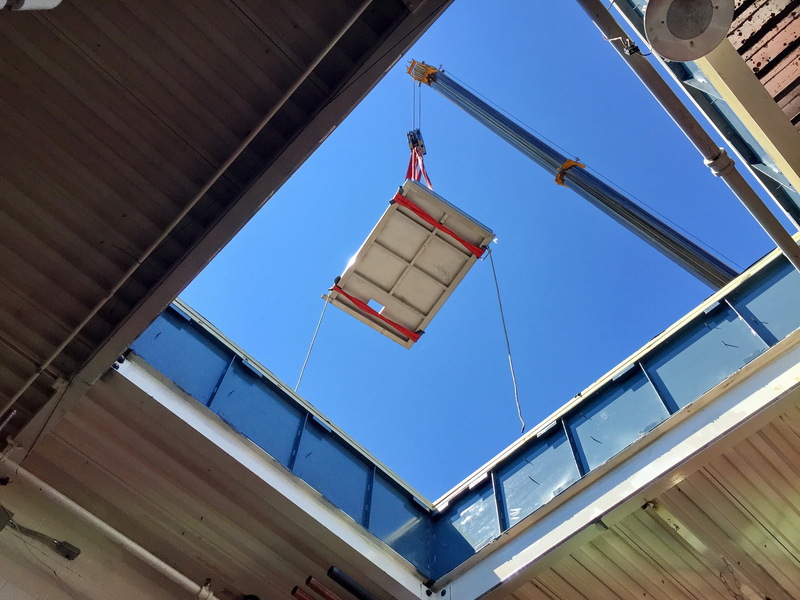 Commack, NY (2015) - Disassembly and removal of QTY (5) oversized Walk-In Stability Chambers. KMRS was responsible for the electrical and pneumatic disconnect with careful match markings; mechanical disconnect and removal ; skidding of all equipment; loading and securing of equipment onto dedicated trucks for shipment to various customers. Manati, PR / Fajardo, PR (2015) - KMRS was responsible for the removal of over 200 assets from Actavis’ Manati and Fajardo, PR. The move consisted of removing, skidding, crating and loading of over 35 containers to various customers worldwide. Mississauga, Canada (2015) - Handled the facility shutdown in Mississauga, Canada. KMRS was responsible for the removal of assets transferred to other Actavis sites and sold to customer worldwide. The job took place over the course of 5 months and included various building demolition to removed machinery; electrical disconnect and careful match marking of various equipment ; skidding and crating; loading and transportation of over 65 trucks / containers. 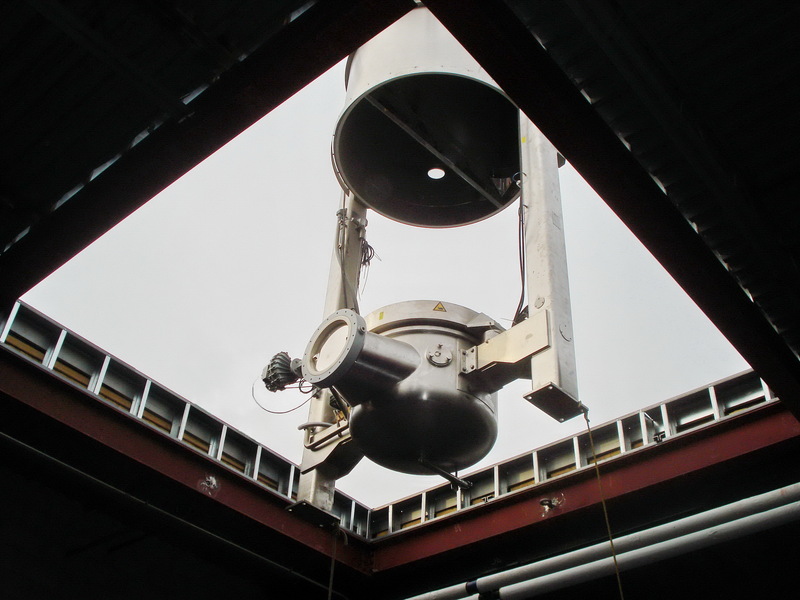 Corona, CA (2014): Disassembly and removal of a Patterson Kelley 150 CUFT Blender in Corona, CA. KMRS was responsible for the electrical and pneumatic disconnect with careful match markings; Crane removal of blender; vacuum crating of all equipment; loading and securing of equipment in containers for overseas shipment. 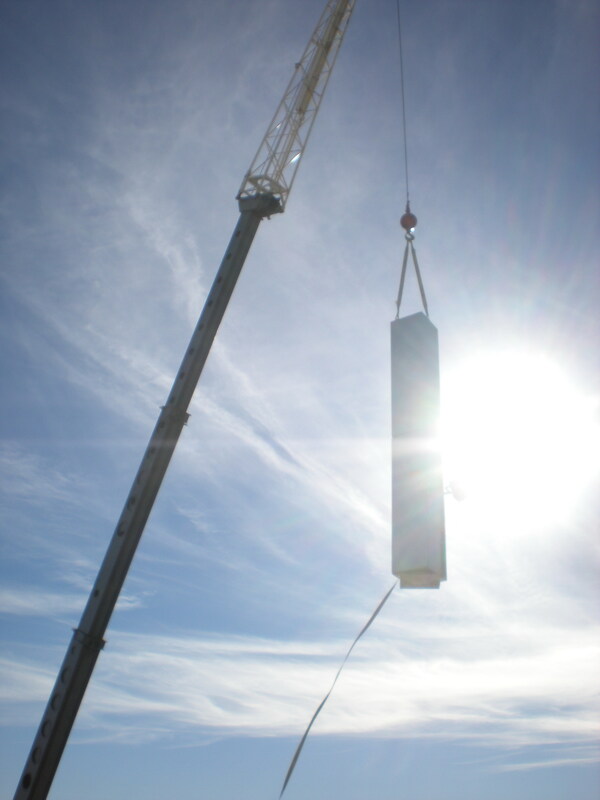 Corona, CA (2013): Disassembly and removal of a Glatt GPCG 120 Fluid Bed Dryer in Corona, CA. KMRS was responsible for the electrical and pneumatic disconnect with careful match markings; Crane removal of main Tower, removal of AHU/HEPA and exhaust fan; skidding and vacuum crating of all equipment; loading and securing equipment in containers for overseas shipment. Davie, FL (2013): Handled the facility shutdown in Davie, FL. KMRS was responsible removal of assets transferred to other sites and sold to clients worldwide. The job took place over the course of 3 months and included various building demolition to removed machinery; electrical disconnect and careful match marking of various equipment ; skidding and crating; loading and transportation of over 25 trucks. Brewster, NY (2012): Handled the facility shutdown in Brewster, NY. KMRS was responsible removal of assets transferred to other sites and sold to clients worldwide. Corona, CA (2013): KMRS was responsible for the removal of over 500 assets from (5) buildings in Corona, CA. The move consisted of removing, skidding and loading of over 100 trucks to various customers worldwide. Carmel, NY (2011-2012): Handled the complete site shutdown of Watson Pharmaceuticals, Carmel, NY. KMRS was responsible for the liquidation and removal of all assets. The job took place over the course of 12 months and included various building demolition to removed machinery; electrical disconnect and careful match marking of various equipment; skidding and crating; loading and transportation of over 60 trucks. Copiague, NY (2010): KMRS was responsible for site transfer of equipment from Watson Copiague to other Watson facilities nationwide. The move consisted of Lab and pilot size machinery which needed to be electrically discounted; skidded and crated; loaded and secured; and transferred to their respected sites. 2. Estee Lauder 2008 – Present Day –KMRS is the rigger of choice for Estee Lauder’s production facility in Long Island, NY. KMRS handles the In-Rig / Out-Rig of various sized production machinery as they replace obsolete equipment with newer vintage machinery. KMRS works during 2nd shift and weekend operation to avoid any disruption to their production schedule. 3. Hostess Bakery Jamaica NY (2014)- Facility closure. KMRS managed the process of equipment removal and facility gutting to allow the new owner to convert the factory to a multi floor storage facility. The demolition included crane work and took over 3 months to complete. 4. Perrigo (2013 - 2014): KMRS was responsible for the removal of over 700 assets from Perrigo in Holland, MI. The job entailed the skidding, crating, loading and transportation of over 80 trucks for clients in the USA and container shipments to overseas clients worldwide. 5. OHM Labs / Ranbaxy (2013): Handled the site shutdown of OHM Labs facility in Gloversville, NY. 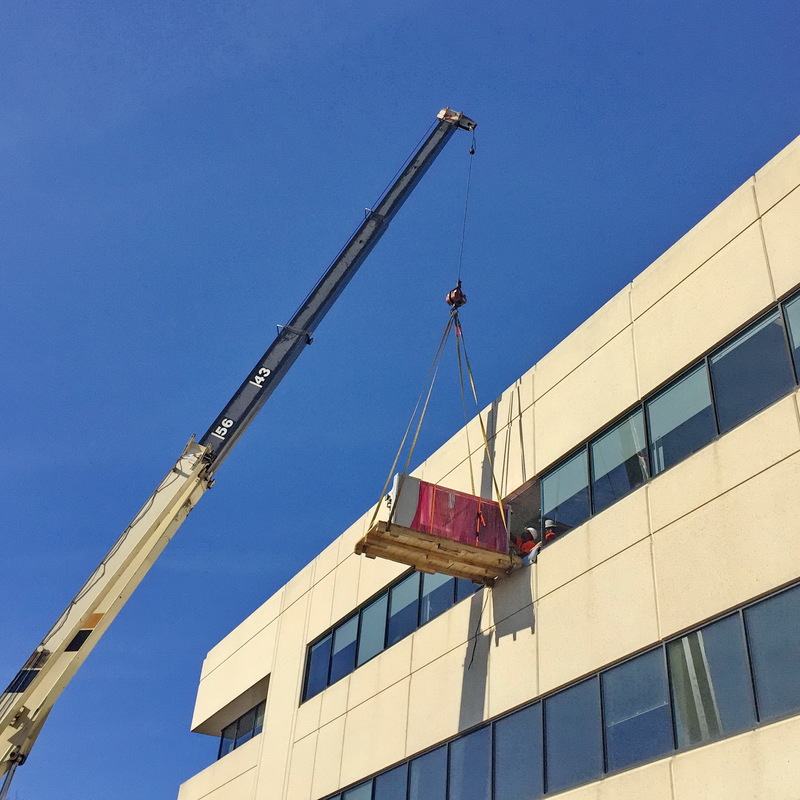 KMRS was responsible for the electrical and pneumatic disconnect, removal, preparation including all skidding and crating needs, and loading of equipment onto clients trucks. 6. 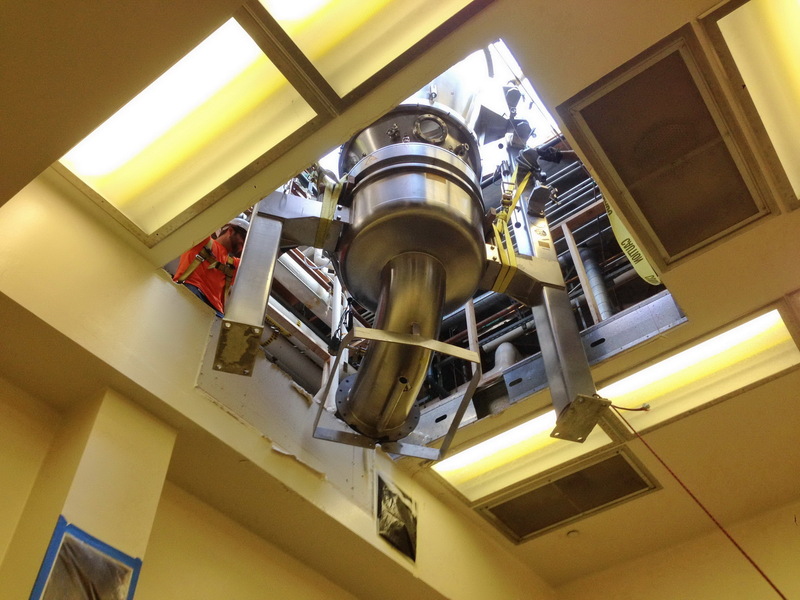 Impax labs (2013): Disassembly and removal of a Glatt GPCG 60 Fluid Bed Dryer in Hayward, CA. KMRS was responsible for the electrical and pneumatic disconnect with careful match markings; removal of AHU/HEPA and exhaust fan; skidding and crating of all equipment; loading and securing equipment into van trailers for shipment in the US. 7. Almac Clinical Services (2009-2011) – Transfer of all manufacturing and packaging equipment from Southerton, PA to their new facility headquarters. This was a “rolling move” which took place over the course of QTY (3) years. 8. Rohm and Hass / Dow Corning (2009) - Handled the site shutdown of Rohm and Haas, NY. 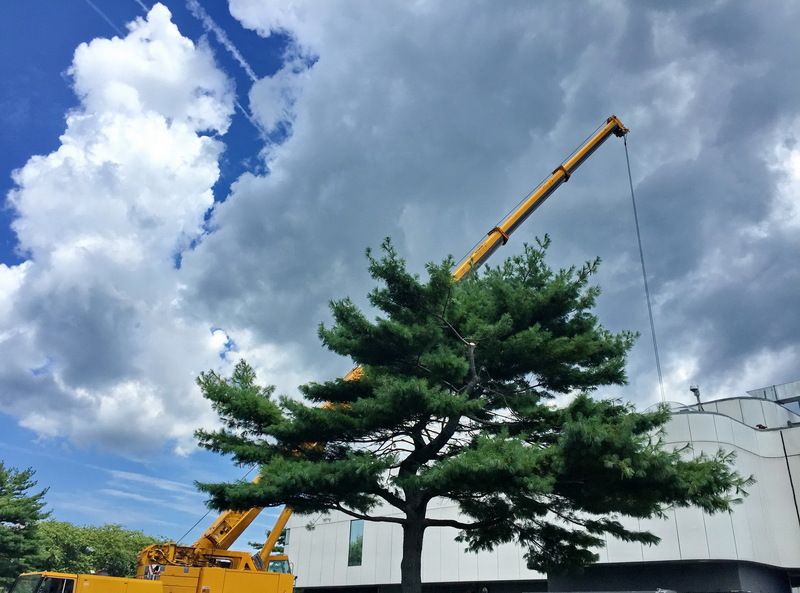 The job included: electrical disconnect of equipment, both lab and process; skidding and crating; transportation of equipment to Rohm and Haas in Marlborough, MA. 9. Forest Labs (2008-2009) – Handled the complete site shutdown of Forest Labs, Inwood, NY. KMRS was responsible for the liquidation and removal of over 400 assets. The job took place over the course of 12 months and included various building demolition to removed machinery (i.e. Gruenberg Ovens, Glatt GPCG-60 removal, etc. 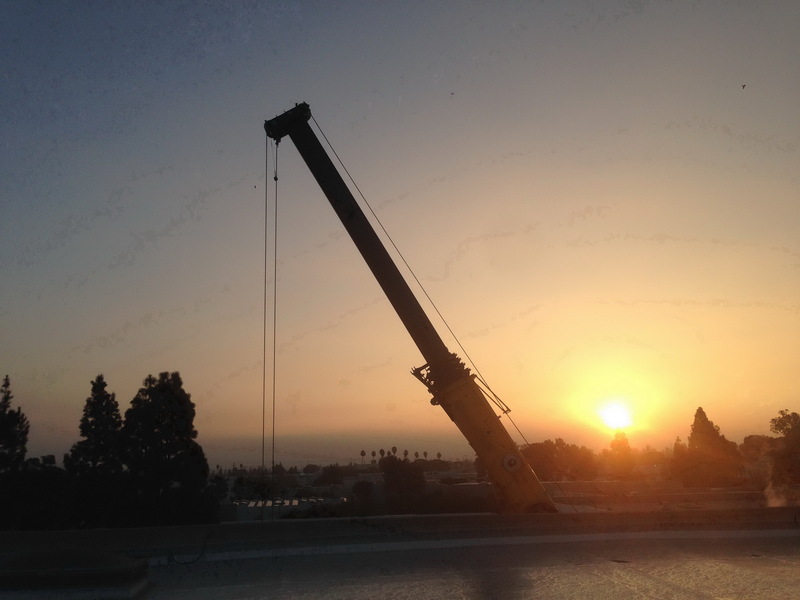 ); various crane work to remove air handlers, blowers, etc. off the building rooftop; electrical disconnect and careful match marking of various equipment ; skidding and crating; loading and transportation of over 50 trucks. 10. Midland Pharmaceuticals (2008-2009) - Disassembly of MP4 Fluid Bed Dryer for shipment overseas. Responsible for the electrical and pneumatic disconnect with careful match markings; crane removal of AHU/HEPA and exhaust fan; Removal and replacement of interior surge walls; skidding, vacuum sealing, and crating of all equipment; loading and securing equipment into 4 containers for overseas shipment. 11. Estee Lauder / Agi Derm (2009) –Handled the complete relocation of AgiDerm in Freeport, NY to Estee Lauder Research Park in Melville, NY. The job including: electrical disconnect of equipment, both lab and process; skidding and crating; transportation of equipment to Estee lauder in Melville, NY; uncrating / unpacking and installation at new location. The move was considered a “rolling move” and took place over the course of 2 months.